Barcelona terrorists planned to blow up truck of explosives at Eiffel Tower, report says. The terrorist who carried out a Barcelona terror attack last summer intended to blow up a truck full of explosives at the Eiffel Tower, Maariv reported. 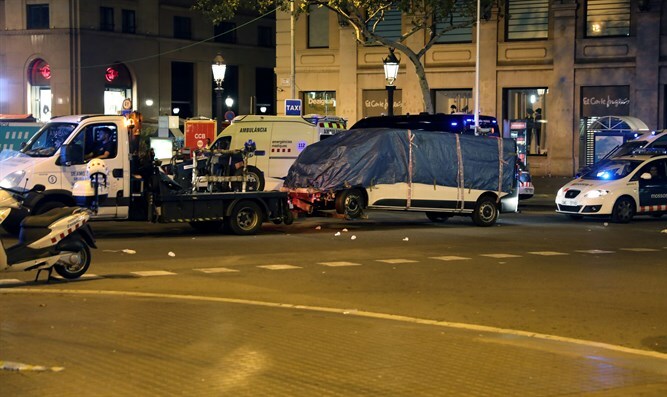 The August 2017 ramming attack, which occurred near the La Rambla pedestrian mall in Barcelona, killed 13 people and injured another 80. ISIS later claimed responsibility for the attack. According to Maariv, the terrorists responsible for the attack planned to carry out additional terror attacks at the same time as the Barcelona attack. The other two attacks were planned for the Eiffel Tower and a Barcelona church, but the La Rambla attack occurred a few days early.